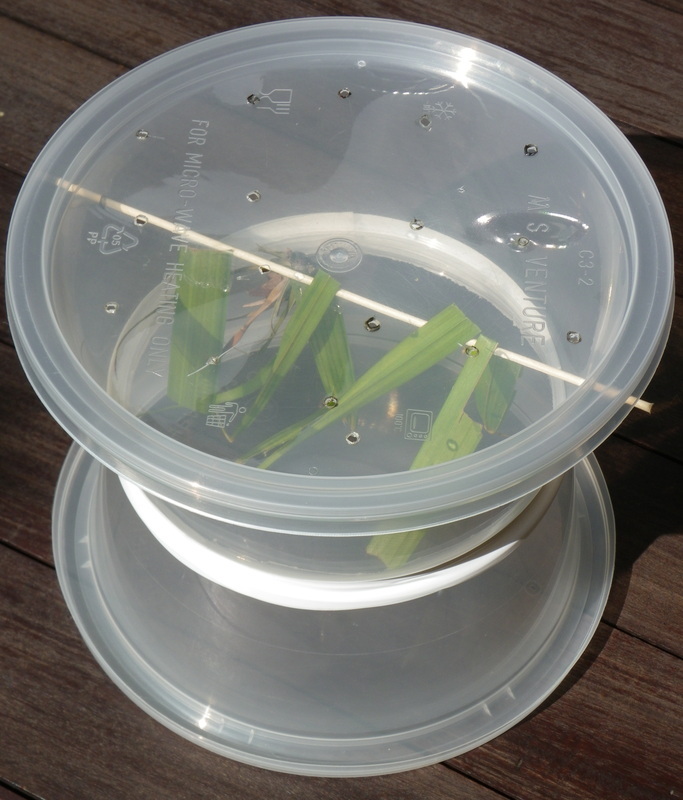 Make your own insect keeper from recycled containers. 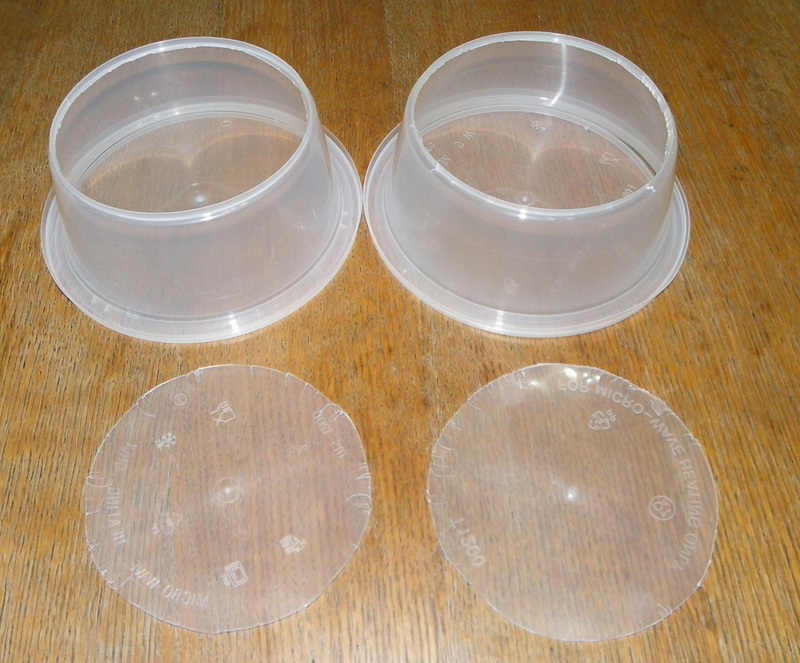 The base and lid can be removed for easy cleaning and feeding of your insects and bugs. Note: This craft ​requires an adults help and supervision for the use of the craft knife, candle and skewers. 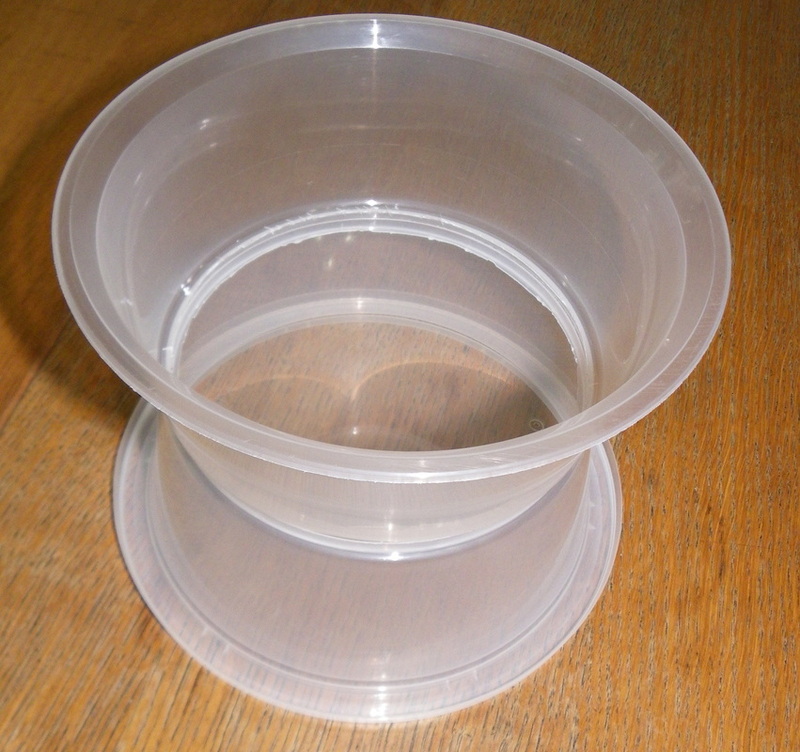 Two identical round food containers with lids - the larger the containers, the bigger your keeper will be. Tape - I used electric tape as it's ability to stretch and fit into the joint was perfect for this job. 1. 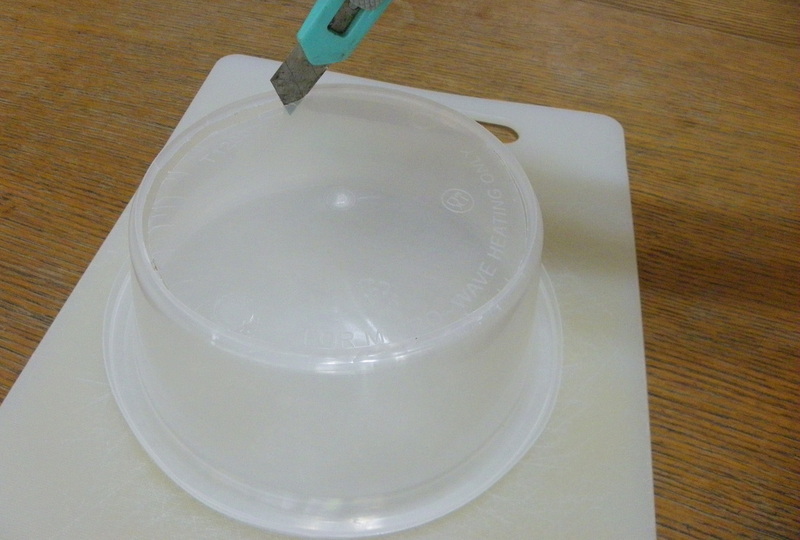 With and adults help, take your two containers remove their bases, using a craft knife. Use a chopping board to protect your table. 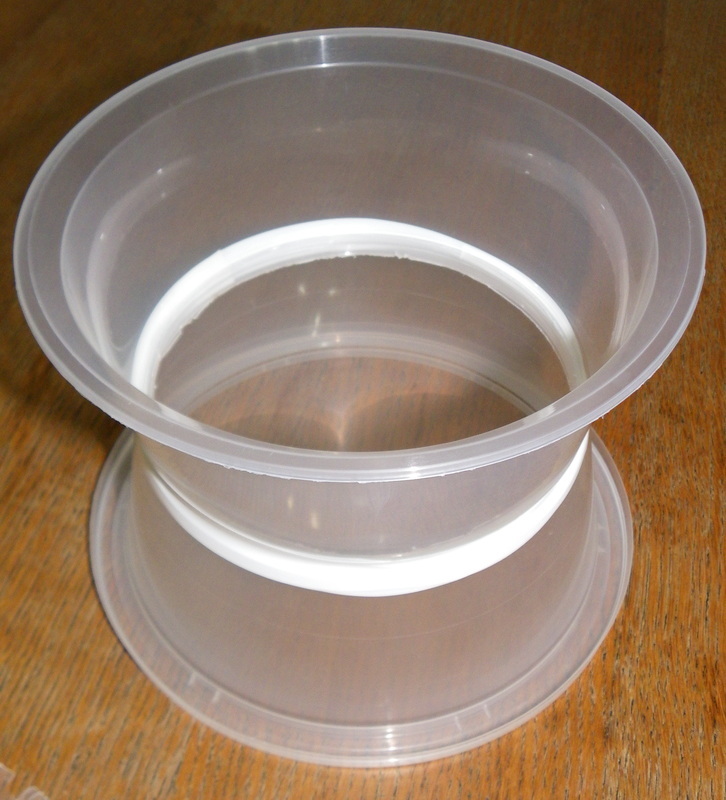 Go slowly and carefully as the container plastic is easy to split by pushing too hard. 2. Sit the two bases together and then tape them in place using the electric tape. 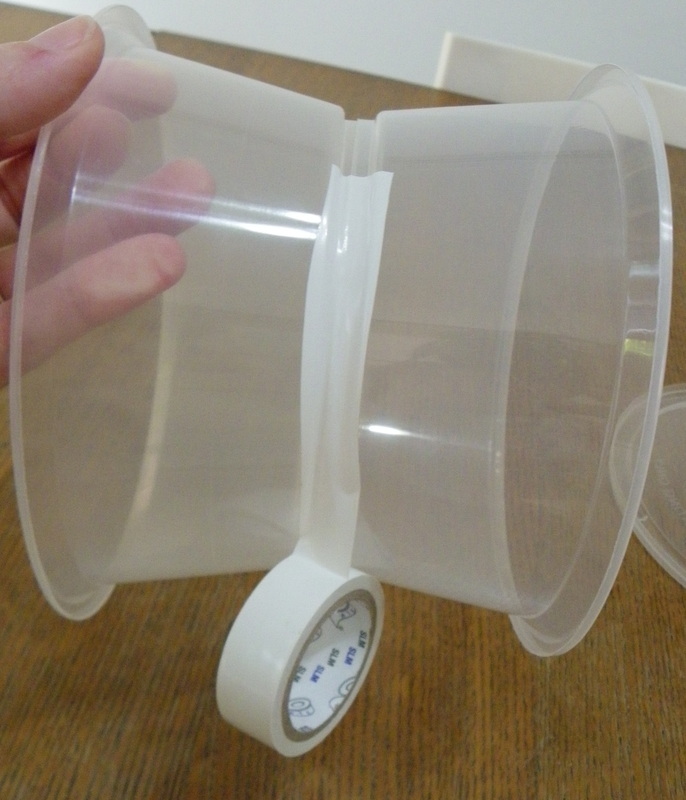 Removing the lids can make it easier to hold the containers while you apply the tape. Put the cut bases together. 3. 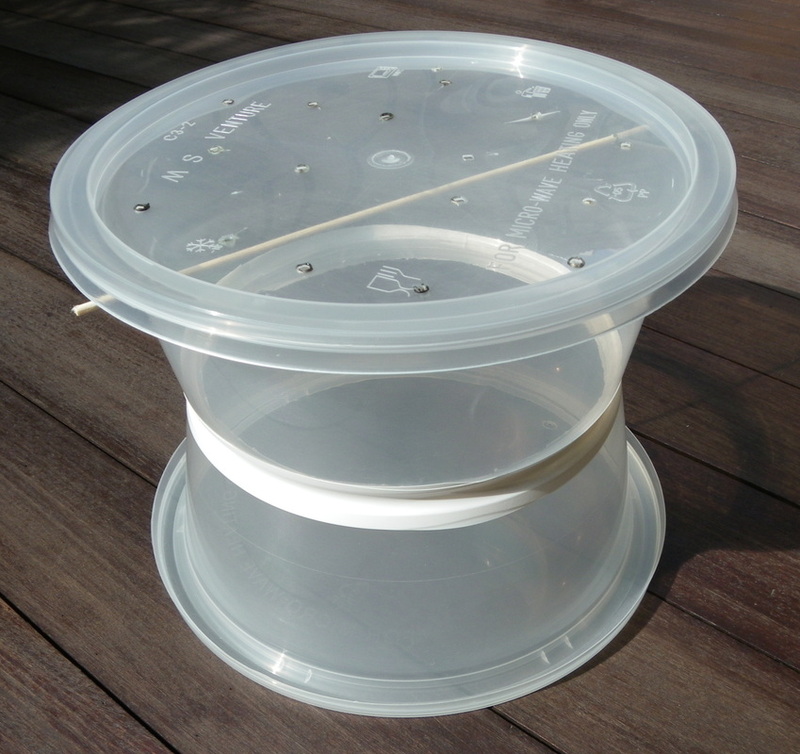 Ask for an adults help, and in a well ventilated area, use the candle to heat the end of the metal skewer and melt multiple holes in one of the lids. 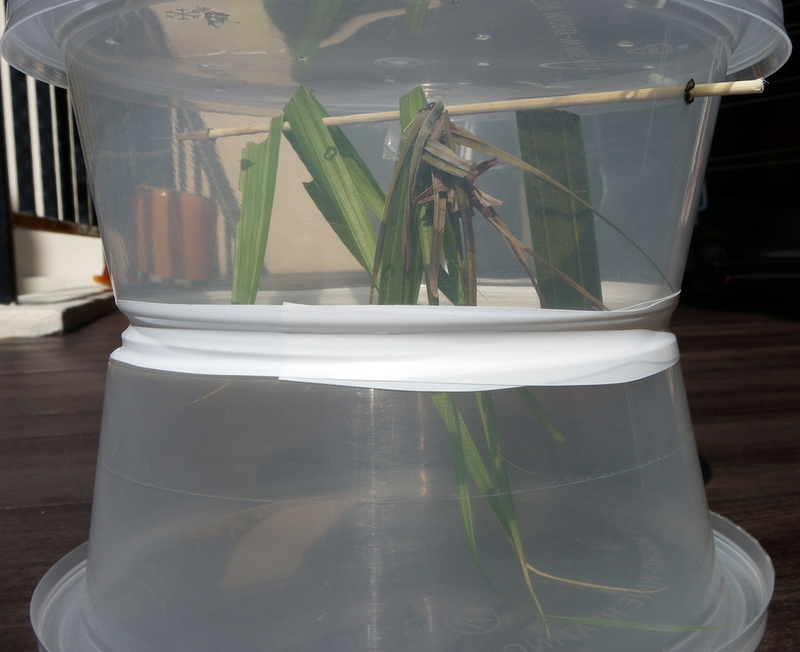 This will let in air for your insects. 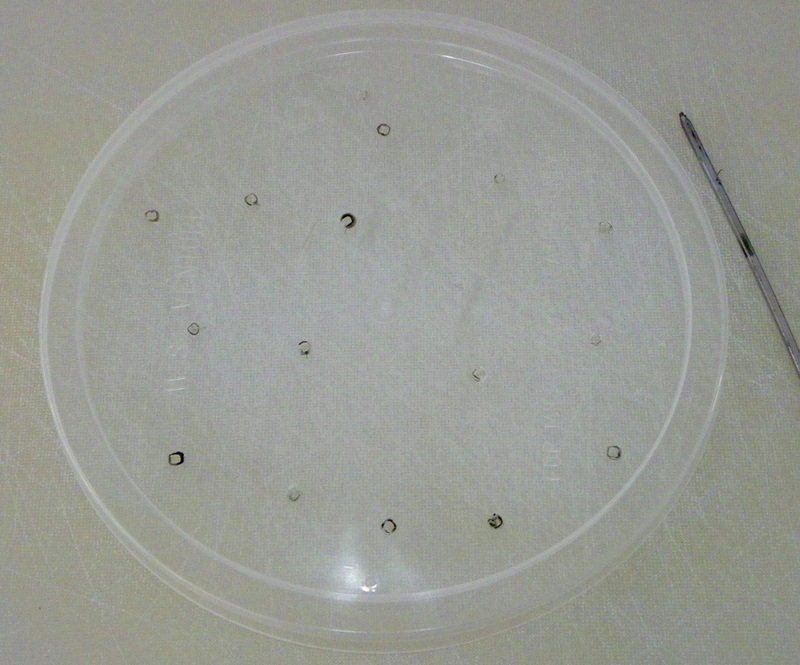 Do not press too hard, as the lid will split or crack. If the skewer is hot, the heat should melt the hole with only a small amount of pressure. The candle is hottest in the blue area of the flame. Use a chopping board to protect your table. If you overheat the skewer it MAY GET HOT - be careful. 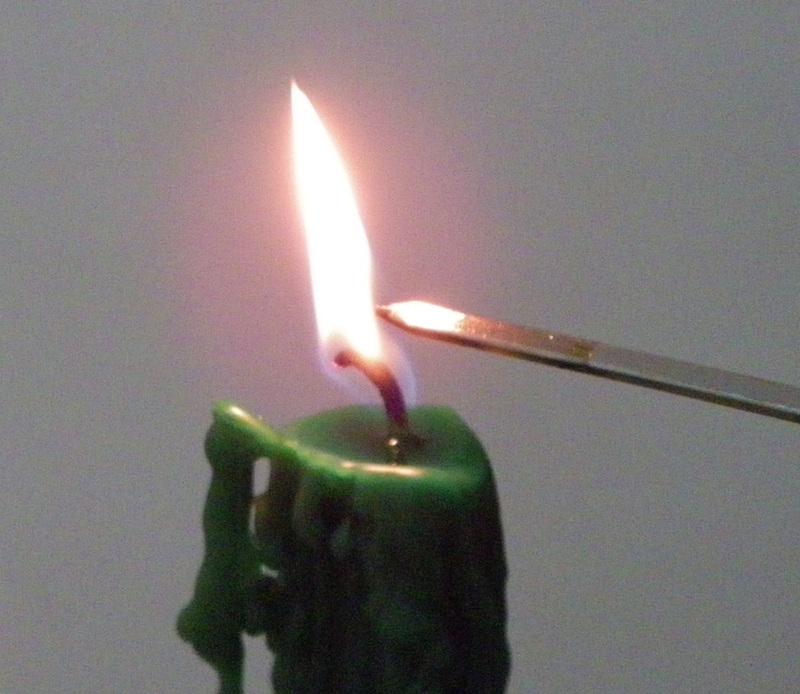 Heat the metal skewer using the candle. 4. 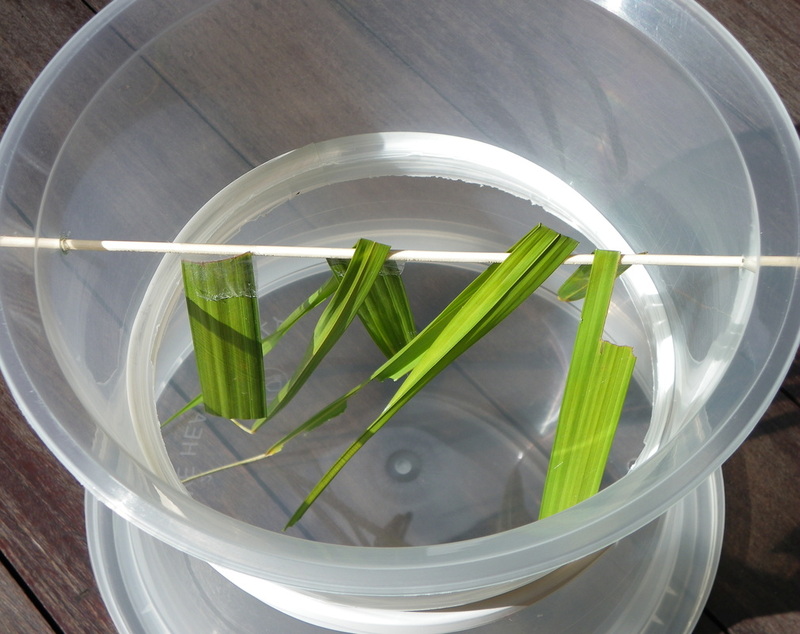 You can also melt two holes in the sides of the container to add a bamboo skewer. 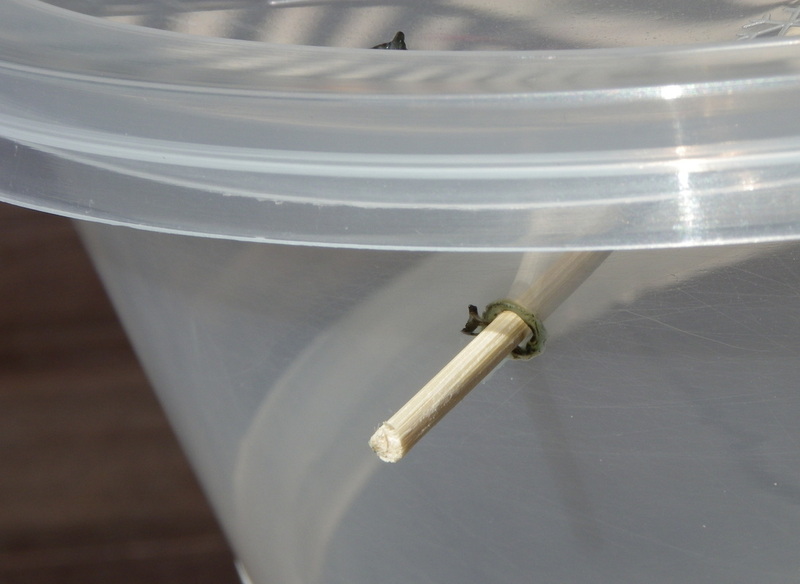 The skewer can be used to hang food in the insect keeper. 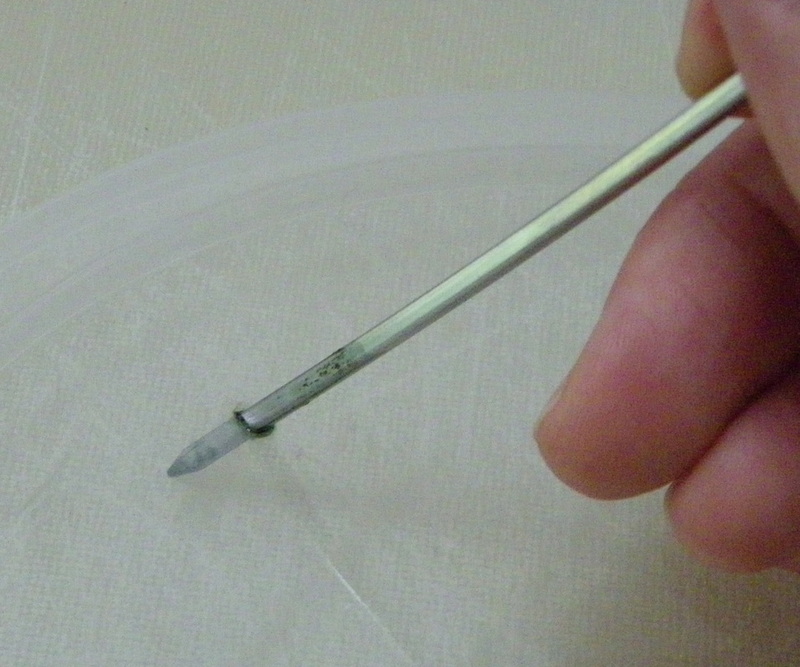 The sharp pointy end of the skewer should be removed by an adult, using scissors. 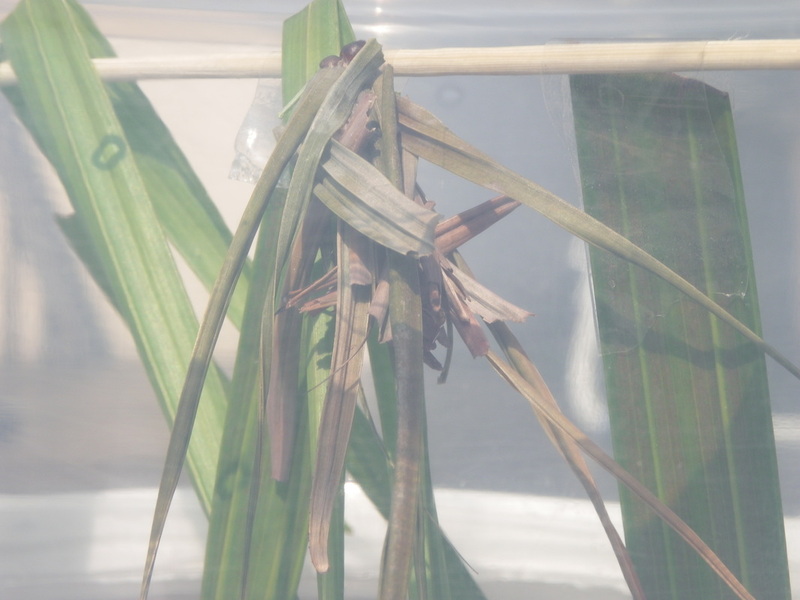 This cool caterpillar disguises itself with a covering of leaves and hangs itself by threads. 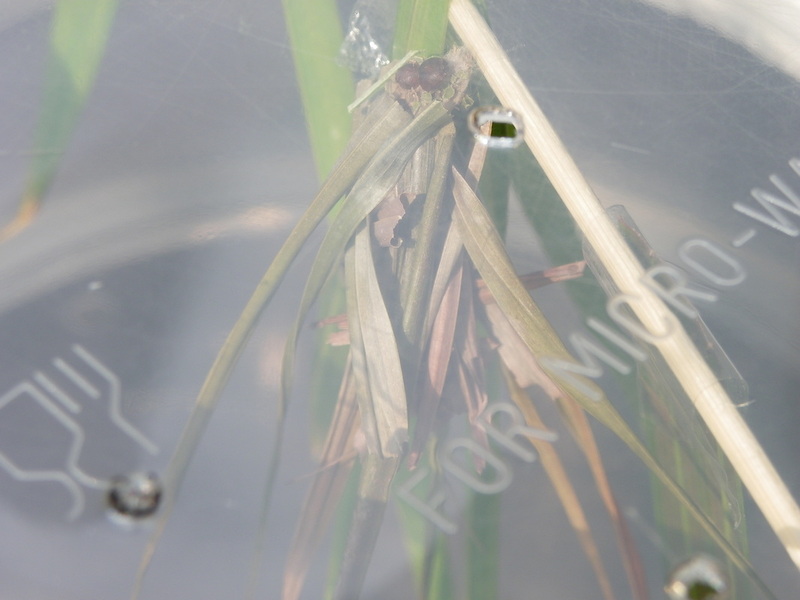 Don't forget to feed your insect and bugs, and when you have had a good look at them, let them go again.